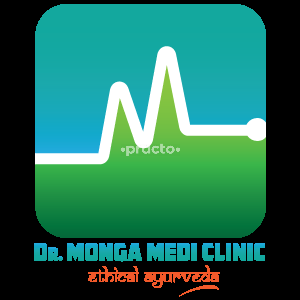 Dr. Monga Clinic New Delhi is committed to managing the health of people through the age-old healthcare system – Ayurveda and integration of modern Allopathy systems. Our journey began in 1946, and since then we have been gracefully carrying forward the legacy of Ayurveda into the modern age. We at Dr. Monga Clinic New Delhi boast of its Ayurvedic treatments consisting of unique and effective combinations of ethical Ayurvedic formulations and natural herbs developed over decades of experience with in-depth knowledge and understanding of Ayurveda.We also practice integrated medicine combining Allopathic & Ayurvedic drugs for treatments of common and chronic diseases like diabetes, piles, acidity, constipation, allergies, and sexual problems. Counseling the patients and teaching them various exercises/techniques to support their treatment is practiced on the daily basis. With over 20 lakh patients in contact and more than 6 lakh patients being successfully treated till date, the name of Dr. Monga clinic today is synonymous with Ayurveda as well as Ayurvedic treatments in this part of the country.Our effective Ayurvedic formulations have successfully treated patients suffering from various acute and Chronic Ailments of Skin, a Cough and Cold, Allergies affecting Respiratory Tract, Stomach/Intestinal Disorders including Acidity, Gastritis & Constipation, Weight Management including Obesity and Low Body Weight etc., Although these disorders are very common and hundreds of various treatment options are available in various systems of modern as well as ancient medicine, getting full relief and managing them satisfactory still remains a challenge for modern disciplines of healthcare. At Dr. Monga Clinic, New Delhi, we aim to restore the faith of new generation in the goodness of Ayurveda and integrate the modern system effectively into routine practice. Friendly heaviour with nice diet tips also solution for diseases using Ayurveda ways which makes good for health.